The Studio Program is at the core of our work in preventing youth homelessness. 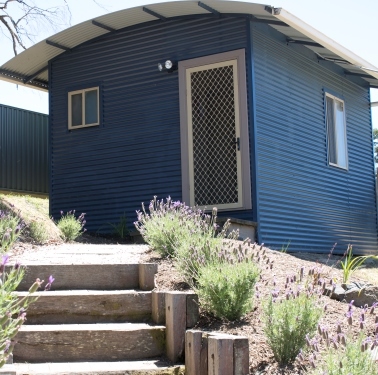 We offer one and two-bedroom, fully relocatable studios (with bathroom) constructed on the grounds of the family or carer’s home. Each studio provides a stable, secure space for a young person to grow and study, while keeping them connected to their family or carer, thus reducing the risk of them being forced to leave home prematurely. A simple yet rigorous application process ensures young people get the help that’s appropriate to them. Kids Under Cover accepts applications for a studio through Community Service Organisations (CSOs). If you are not already in contact with a CSO, have a look at this list for an appropriate organisation for you. Once you speak with your CSO case manager they can apply for a studio on your behalf. A Kids Under Cover studio can be applied for by a CSO on behalf of a young person and their family. The CSO must be a member organisation of Kids Under Cover in order to apply for a studio. Our Community Service Organisation (CSO) partners work directly with the young person to provide them with their social support needs. Through this work, the social worker will determine if a Kids Under Cover studio, combined with the existing support, will be the best solution to address the young person’s risk of homelessness. The social worker makes the application to us on behalf of the young person. The application is then assessed against Kids Under Cover’s priority matrix. The social worker will be notified of the outcome of the application. If the application is approved and funding has been allocated, Kids Under Cover will work in partnership with builders, local councils, the social worker and the family to start planning for the studio installation. After completion, Kids Under Cover is responsible for any ongoing maintenance of the studio. When the studio is no longer needed by the family, it is dismantled and moved to another family in need. Studios last around 15 years and can be relocated up to four times.